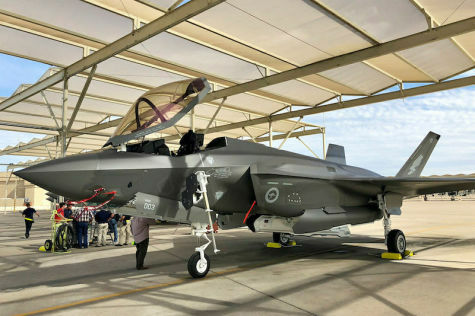 Australia has taken delivery of the next three F-35A aircraft from Lockheed Martin. Minister for Defence Senator the Hon Marise Payne and Minister for Defence Industry the Hon Christopher Pyne MP congratulated Defence and Lockheed Martin on reaching the important milestone. Minister Payne said our F-35 program is on track to provide Australia with a fifth-generation aircraft at the forefront of air combat technology. Minister Pyne said this is another significant point in the Joint Strike Fighter program. “Australia now has five aircraft at Luke Air Force Base in Arizona, USA, where our pilots are currently training. Five more aircraft are scheduled for delivery by the end of 2018. “More than 50 Australian companies have directly shared in more than A$1 billion in production contracts to date, providing further opportunities to small and medium Australian businesses which benefit through supply chain work. “In 2016, the F-35 Program supported more than 2,400 jobs across Australia, which is set to grow to 5,000 by 2023.